Just picked up a channel master 1.2m for 20 quid and i am chuffed to bits with it. 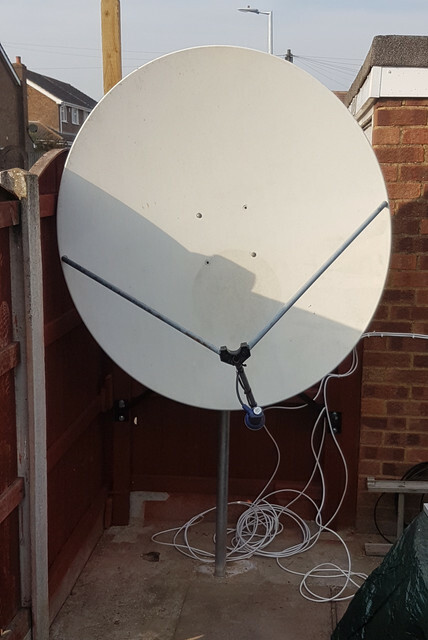 it makes my 80cm motorised dish look like a toy. It has an actuator fitted but no idea if it works or not, i dont have a vbox to test it or any experience using one.... it also came complete with wall mount. Because of where i will have to mount it i will not be able to get any sats past 5w or anything past 23 east. With that in mind i plan to make it a fixed dish mostly for feeds on 10 and 7 east. Which sat would be best to centre the dish on ?? Would else could i hope to pick up with the dish centered at those sats, if i were to add more lnb's and switch ??? Im in sunny london UK. Any advise or thoughts welcomed. check your actuator is working its best all round idea , and buy Multi-core 4 core color cable however much you need from V-box to Actuator Arm . red,green wired to Actuator Sensor and other end red,green to Sensor in V-box . You'd be mad not to use your Actuator infact . or at the very worst have to buy an Actuator Arm and a bit of 4 core electric cable and a V-box still does not amount to very much money at all for what you will get in return . always good to see fellow members take a keen interest in our hobby ! CM is nice dish (one of my favorite brands). The dish is not very "friendly" to multifeeds, however it is possible. I think if dish came with polar-mount it is vice idea to make it motorized. Before you install it, change all nuts&bolts to INOX ones, other-way you will get rusty marks on the "face" of the dish from "sunny" London weather. 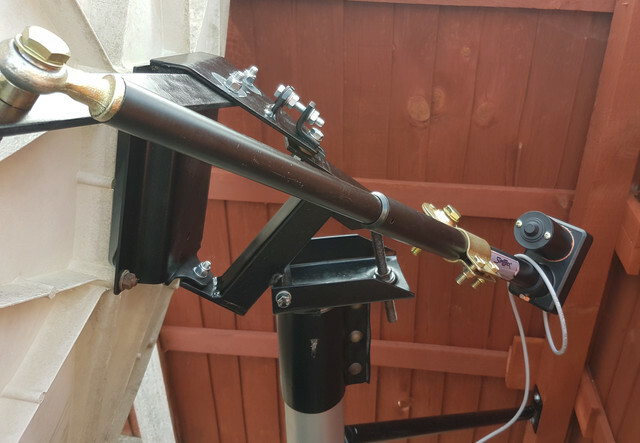 Thanks for the reply guys, have spend a few days rebuilding the dish mount replacing / painting whatever rusty bits i could.The bushes themselves had very little if any wear in them, that shows just how much of a quality dish it is. Mount looks nice. It is up to you, but I think that any CM dish can be washed with kitchen sponge, so, usually no painting is necessary. A bit of elbow grease and a sponge should be all that is required . That polar mount looks brand new now i know for a fact its really hard to find polar mounts for a CM dish i think they stopped production many years ago and Raven dishes and mounts are all that is around these days AFAIK . well i cant believe it has been 6 months since this started, weather and health are finally on my side and now finally have the dish up. 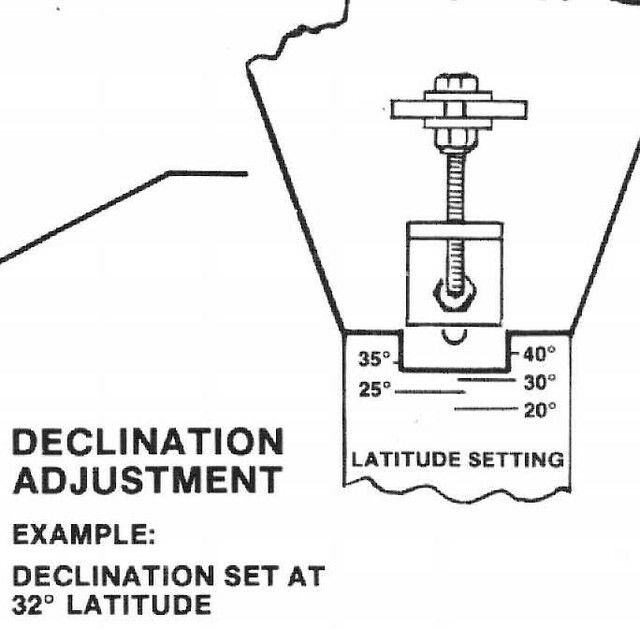 Am i correct in adding that offset to my declination angle to give me 30 degrees ?? Is this the right way to find that angle ? ?